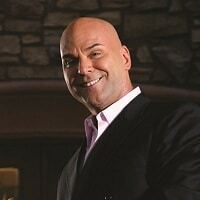 Marshall Sylver celebrates 45 years of entertaining, educating and empowering people. He has shared the stage with Donald Trump, Bill Clinton, Gerald Ford, Russel Simmons, Richard Branson and so many more. He is a master at teaching people how to monetize in any business. He is also the world’s leading expert in subconscious reprogramming and irresistible influence. His training programs are sold around the world and over 5,000,000 people have used his programs. You are invited to enjoy our headline entertainer Marshall Sylver starring in Real Hypnosis Really Funny! Direct from the main stage of the Planet Hollywood Hotel and Casino and with multiple appearances on David Letterman, Howard Stern and more. Marshall will have you gasping in amazement and laughing until you hurt. What an astounding experience to take back to your blog, podcast or webcast. See the show or be the show just make sure you don’t miss Marshall in Real Hypnosis Really Funny! Mark your calendar: Join us for a reception on Saturday, January 4 from 7:30 – 8:00 PM in Brasilia 4-7 (the NMX Keynote Ballroom) to network with other attendees, then stay to attend Marshall’s show, starting at 8:00 PM! In this keynote he will teach you how to lose the fear of making money, specific strategies you can put to immediate use, the power of irresistible influence and so much more. You will experience the power of full awareness hypnosis and watch the master himself persuade someone from the audience to buy something they didn’t even know they wanted and be grateful they did. Plus Marshall Sylver is giving away tens of thousands of dollars in cash and prizes. If you want to make more money than you ever imagined in new media you want to be there! Don’t have your ticket to NMX yet? Make sure to grab your ticket now so you don’t miss Marshall’s show or keynote.